Human subject research investigators, co-investigators, research coordinators, research staff, and IRB members should complete appropriate education and training before reviewing or conducting human subject research. Documentation of such training must be submitted to the IRB prior to conducting human subject research. Furthermore, documentation of three (3) hours of continuing education or completion of a computer based training module regarding human subject research must be provided to the IRB on an annual basis. 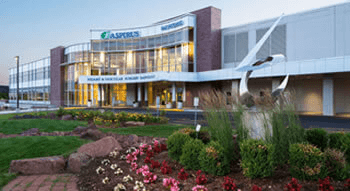 other educational programs as deemed appropriate by the Aspirus Wausau Hospital IRB. Please print out Annual Human Subject Research Education Documentation table.doc fill out completed education and submit to the IRB office - AWH Suite 325. Also if completing a computer-based training module, please submit a certification of completion (if available). The NIH Office of Extramural Research offers a free, web-based course. Please note that this course replaced the previous Protecting Human Research Participants (PHRP) course as of March 1, 2008. To take this course, register on the program website. The two-hour tutorial is designed for those involved in conducting research involving human participants. It satisfies the NIH human subjects training requirement for obtaining Federal Funds. You will have the option of printing a certificate of completion from your computer upon completing the course. OHRP has announced the availability of educational videos developed by the Division of Education and Development. Thee videos below provide information on a variety of topics regarding the Department of Health and Human Services (HHS) regulations for the protection of human subjects of research described at 45 CFR part 46. Each video is approximately 20-25 minutes in length. These videos are also listed on the OHRP YouTube Playlist. Mrs. Julie Kaneshiro, OHRP Policy Team Leader, is interviewed and discusses the challenges and complexities of the application of the HHS regulations at 45 CFR part 46 to activities involving biological specimens and other private information. Mrs. Kaneshiro discusses how to assess whether an activity constitutes non-exempt human subjects research. She clarifies when the HHS regulations do and do not apply to an activity and when an institution is engaged in human subjects research. This is an advanced topic video and is best suited to viewing by individuals already possessing a basic understanding of the HHS regulations for the protection of human subjects. Dr. Michael Carome, former OHRP Associate Director of Regulatory Affairs, is interviewed and discusses the criteria for determining if, in the context of human subjects research, an experience, incident, or outcome is an unanticipated problem involving risk to subjects or others, as described in the HHS regulations at 45 CFR part 46. He discusses the differences between adverse events and unanticipated problems and appropriate responses for investigators, IRBs, and institutions when encountering an unanticipated problem. He also discusses prompt reporting requirements and the difference between external and internal unanticipated problems, what to do in the case of multi-center research, and what information that should be reported to OHRP. In this video, all of the characters are fictional. This presentation takes part in two scenes. In the first scene an investigator meets with the IRB Chair to go over some issues for obtaining legally effective informed consent from potential subjects with schizophrenia before submitting her protocol to the IRB. These issues include determining capacity to consent, using a legally authorized representative, and meeting the regulatory requirements for the process of informed consent. In the second scene, Dr. Presley obtains appropriate informed consent from a potential subject, Mr. Smith, who has the capacity to consent. When the video starts, you will see a fictional OHRP presenter summarizing the key points of the just completed presentation to the audience. She then invites questions from the audience, where she and her colleague (also a fictional OHRP presenter) respond to some rather complex and interesting questions regarding vulnerable populations. In this video, all of the characters are fictional. A Signatory Official, Dr. Quinn, meets with her staff members to discuss establishing an effective and efficient IRB for their institution. Ms. Hobbs, the future Human Subjects Protections Administrator, provides guidance regarding IRB membership, IRB guidance, quorum requirements, conflicts of interest, alternate members, the difference between recusals and abstentions, appointment of IRB members, written procedures, training, incentives and other relevant information for establishing and maintaining an IRB. As a dedicated investigator, Dr. Reznor provides relevant input and support to the discussion. You must have the Real® Media player installed on your computer to view the training modules. Click the following link to Download the free Real® Media player. These videos are hosted on the NIH website.